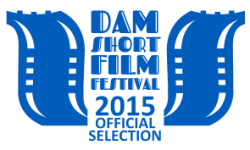 The Noble Spirit to Screen at Dam Short Film Festival! 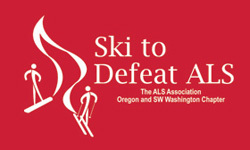 Ski to Defeat ALS 2014 – Join in the fun and fundraising! I know Facebook and texting is the way most people correspond these days, but I am 76 years old and my cell phone has numbers on it. If I punch the right numbers it rings and someone on the other end answers. If my phone rings I answer (pretty simple). I don’t know how to do Facebook and trying to get through all the useless information takes up what little time I have left. From now on, I would appreciate it if you have any messages for me that you email me to noblecmh@aol.com. 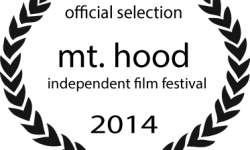 I guess if you want the world to know your business you can post on my Facebook page as well. Donate $20, Get This Awesome Mug! Join in the fight against ALS. 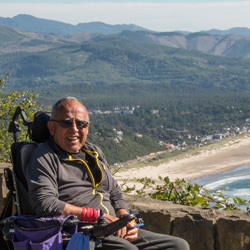 In December 2010, adventurer Fred Noble was diagnosed with ALS. 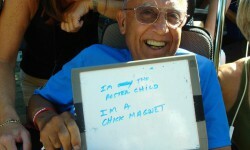 His body passed away on May 1, 2014, but his spirit lives on. The "Fredinator" worked tirelessly to build awareness about ALS and raise funds for finding a cure. You can continue his work by making a donation to the ALS Association.